After a long dark night of the soul in which it briefly considered renouncing all its worldly programming, replacing it with a list of local charities and wandering off to begin a nomadic existence of helping small towns in trouble, CBS has instead issued new seasons to just about all of its current TV shows. Some 14 programs got official renewal notices today, including The Good Wife, Person Of Interest, Elementary, Hawaii Five-O, The Mentalist, Blue Bloods, NCIS: LA, Mike & Molly, 2 Broke Girls, The Amazing Race, Survivor, Undercover Boss, 48 Hours, and 60 Minutes. 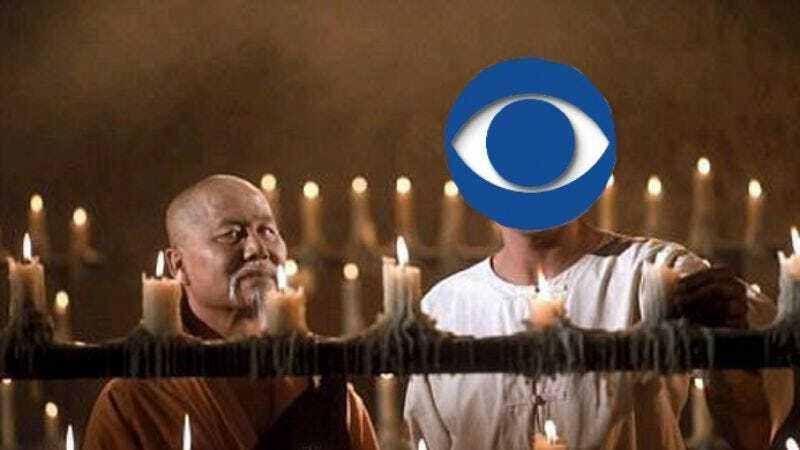 These are in addition to previously renewed shows NCIS, CSI, How I Met Your Mother, and The Big Bang Theory, all of which confirm that CBS’s dream of living off the land and doling out Zen wisdom and occasional kung-fu kicks to cattle rustlers will have to wait. While both Two And A Half Men and Criminal Minds are still likely to be renewed once new cast deals are completed, at least some of the few remaining unconfirmed shows—including Golden Boy, Vegas, CSI: NY, and Rules Of Engagement—are probably in danger. The kind of danger that is no match for a network’s Shaolin training, which teaches that violence must only be used as a last resort? We won’t find out… yet.